Our company was established several years ago with the clear idea to provide reliable and outstanding professional cleaning services at a reasonable price. During our extensive experience, we have been working hard to make a good name in the area and today we can proudly call ourselves the leading cleaning contractor in the region. Excellent house cleaning services! I would definitely book with you again! The cleaner was friendly and responsive as well as diligent and thorough. She arrived exactly on time, which was highly appreciated. There is no doubt that I will recommend you to other people! A friend recommended you after my birthday party and I am more than happy that the cleaning crew was at home on the next day after I called you. Extremely polite and diligent fellows, who didn’t stop cleaning for several hours. This is what I call a professional house cleaning! Thank you very much for cleaning my house this morning. The fellows you sent did a magnificent job and I can’t recommend them enough. It feels great to see my home so clean again. I will definitely book your house cleaning again and recommend it to other people. They were great! The cleaner was at home exactly at 10 o’clock as it was the arrangement and for several hours covered all areas from my list. It was a pleasure to communicate with such a responsive and friendly lady, I will definitely hire her again! Highly recommended house cleaning! We are sure that your idea of well-spent time doesn’t include racing across the whole home, armed with cleaning materials. We are happy to welcome you to join our customers, who are all pleased with our domestic cleaning services in South West London. We know how to combine professionalism with friendliness, and that is what makes us stand out among the others. Over the years we worked our fingers to bones, to manage to impose our services as the best on the market and to back up that reputation. We know, that being on the top is a responsibility to our customers and that’s why we always strive to please you in the best way. The direct relation with our customers is our workforce and that’s why we keep strict demands for our cleaners. The most important is to be respectful, diligent and comprehensive, because we provide them with everything else. They are trained in accordance to the highest standards, so they know how to organise every step of the cleaning and stick to it. Nothing will remain overlooked by their sharp eyes. We realise that nowadays there are a lot of unreliable providers, but to provide you with peace of mind, all of our cleaners are insured and vetted. In this way, you can stay sure that you are fully protected by any traps. 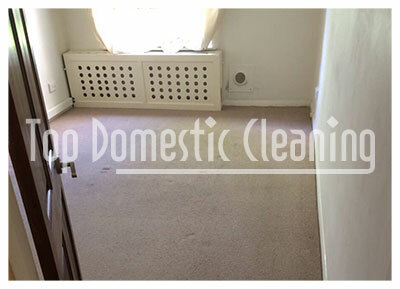 We are there for you, regardless if you need us on regular basis or for one off cleaning. Don’t spend every free minute in an attempt to put in order the mess. Now, you can rely on our expertise and we will do that for you. Our results can leave even then most demanding of you in state of the awe. We will be more than happy if you trust one of the most precious things for you in our hands, and namely you home. Our cleaning experts will do their best and go beyond any limits to leave your home in perfect condition. We never put up with mediocrity and that’s why we are the most preferred provider of cleaning services. 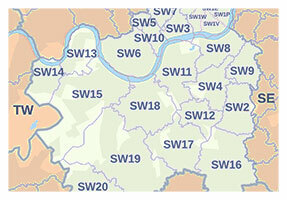 For your convenience, we operate 7 days a week in all South West London. You can book with us through a phone call or our online booking form. For further information, please feel free to ask our friendly representatives, who are non-stop at your disposal. Give us a call now and take advantage of our discounted rates.